How will my Doctor react if I get a Second Medical Opinion? Most doctors will welcome another physician’s input. Your doctor may be able to recommend a specialist. A good doctor understands your right to be well informed and should support a second opinion. You will want to obtain a copy of your medical records and test results, to share with the new doctor that you see for the second opinion. Medical Opinions from Doctors may differ. A different doctor may come up with a different diagnosis, or at least offer a different opinion as to treatment choices. 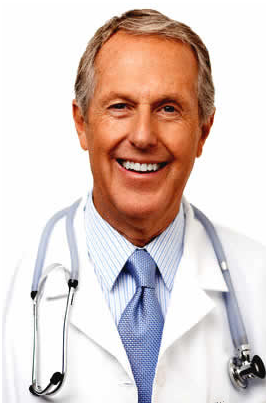 Not every doctor will have the same opinion with regard to diseases and possible treatments. Factors which may have an effect on a doctor’s opinion are technology available to that doctor, school of thought : Conventional, Integrative, Alternative, Naturopathic, where they were trained, individual methods of treatment and experience in dealing with that particular diagnosis. Treatments may differ and Provide You with Options. Some doctors prefer to monitor the situation and use less aggressive procedures before moving to surgical intervention. Some doctors like to use more aggressive treatment methods from the beginning. By getting a second opinion, you can expand your options about different treatment methods which may be most suitable for you and your situation. Being informed is always your best option! Second Opinions are to your Advantage and in fact may be Lifesaving. It never hurts to get a second opinion. Keep in mind that doctors are human and they too can make mistakes or be faced with unusual or challenging cases. When the first doctor’s opinion is the same or similar to the second doctor’s, your confidence will be increased. There is nothing lost by visiting one more doctor just to make sure that the first doctor’s opinion is correct. With serious illnesses that may require extended treatment, you should feel confident that you have chosen the most appropriate treatment for your particular situation. A valid opinion and appropriate course of treatment is your best option for return to good health or grasping control of the chronic disease. While second opinions may be awkward for doctor and patient at times, studies have shown that 30 percent of patients, who sought second opinions for elective surgery and 18 percent of those who were required to obtain a second opinion by their insurance company, found that the two opinions were not in agreement. These studies are one more reason why you need to make sure you are educated properly to make the best decision for your health. Choosing a Physician: Conventional, Integrative, Alternative, Naturopathic. There are many professional doctors in practice today. Family physicians provide comprehensive medical care with an emphasis on caring for all members of the family. A general surgeon is able to perform all types of surgical procedures aimed at treating a range of diseases and conditions, including cancer. Medical oncologists are specialists that use various medications to treat and manage patients with cancer. This may include the use of chemotherapy to kill cancer cells, painkillers to manage cancer pain, and drugs that will eliminate or reduce the side effects of cancer treatment. Radiation oncologists use therapeutic applications of radiation to manage cancer and other diseases. They determine the type of radiation that will be used, as well as the amount or dose, and the number and length of treatments. You may have a need for all four of these types of physicians at one time. It is beneficial to you to keep files or a journal with names and dates and copies of your medical records and procedures as your journey to wellness can be confusing and the doctors will need to know exactly what care you have previously received. depending where you live and who you consult. A different approach or opinion is often in your interest and may prove invaluable to your health. A Second Medical Opinion is Your Right….go ahead Question Doctors! Second opinions are a way to learn about your diagnosis and choices for treatment options. Some doctors are more conservative while others tend to be more aggressive. A patient has rights and one of your most important rights is the ability to get a second opinion about your diagnosis. Being informed is critical in deciding your choice of treatment. Statistics show that over one third of adults in the United States will never seek a second opinion and almost one tenth of newly diagnosed patients rarely, or never understand their diagnosis. A second opinion means you are consulting with another doctor to confirm a diagnosis and/or find possible different treatment choices available to you. It is recommended to get a second opinion immediately to avoid delays in your treatment and recovery. Seven states currently have health laws pertaining to second opinions. What will an Online Medical Opinion cost me? At QuestionDoctors.com, we answer questions for free. A Second Opinion Priority Service is priced at $45.